Hello Viewers, If you are a beginner or you want to learn website development or you want to start blogging then surely this article will be helpful for you because you need a custom domain name soon and as you are a beginner then you should not buy a domain first. At first, you should learn the importance of a custom domain and for that, you should read this ARTICLE. Now After reading that article, you know that if you are a beginner then you should practice with a free custom domain. In this article, I'll tell you how you can get one for your blog/website. 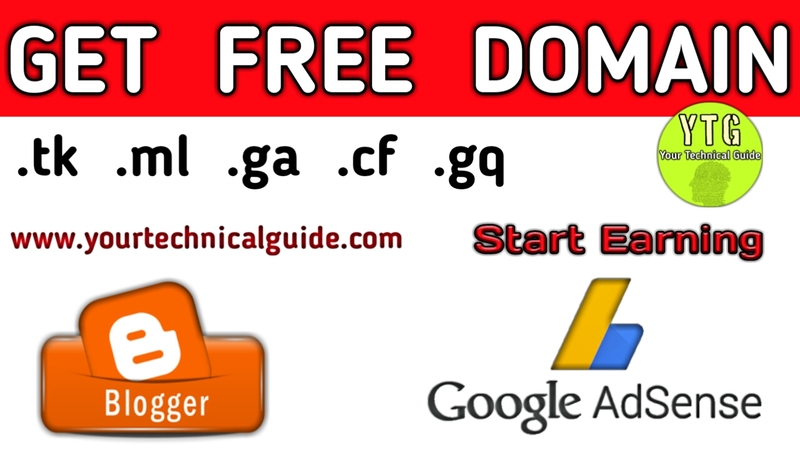 How to Get Free custom domain? Here you can easily find your free domain ( free for 12 months ). Watch the tutorial video on YouTube by clicking below Link to understand better. If you are still facing any kind of problem then feel free to contact by comment below on the video or website. In our YouTube channel, you can find more videos that will be helpful for you so check there Your Technical Guide. First, go to Freenom website. Sign in using your email or facebook. Find your domain name and select ( .ml is preferable ). Add to cart and buy for 12 months at free of cost. Give your information for security purpose and submit. The domain is now your. If you want to learn how to add this custom domain for your blog or website then check Your Technical Guide YouTube Channel.